Marlink's latest offering, XChange Cloud, is a digital business optimization tool that provides a secure and scalable platform for the optimized transfer and synchronization of files of any size or type between vessels of any size and shore, and vice versa. It has been designed to specifically support the business needs of maritime users who wish to effectively implement a more digital approach, including automation, to their fleet operations management. 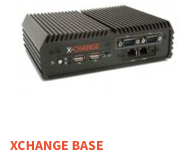 The new and secure file transfer and storage system runs on XChange, Marlink’s centralized IT and communications management platform, which is already in use on thousands of ships, and requires no additional hardware to activate. Fast performing & powerful rack-mountable unit, with large hard disk space enabling big data applications. As a core feature of Marlink’s flexible centralized IT and communications management system, XChange Cloud is easy to set-up. 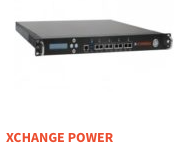 Unlike third-party cloud solutions, there is no requirement to configure i.e., firewalls and M2M groups, meaning XChange users can adopt secure digital file sharing into their operations with ease. Users can also be confident in reliability, through Marlink’s own File Transfer Protocols, developed in- house and already used for sharing data in the established SkyFile AFT and XChange Content tools. Tore Morten Olsen, President Maritime, Marlink said that in combination with Sealink VSAT services and Marlink's extensive portfolio of business critical solutions, XChange is a cost-effective, easy-to-manage gateway to maritime digitalization. Its latest solution, XChange Cloud is a secure, straightforward platform that allows their customers to facilitate the increasing need for sharing electronic files as part of daily vessel and fleet management operations. As their latest digital solution, it will help to introduce more efficient business practices across the board.